Hello loves, I hope you're refreshed and recharged after a wonderful weekend! LO recovered from her fever and was back to her precocious self on Sunday. It was a weekend full of highs and lows for me. 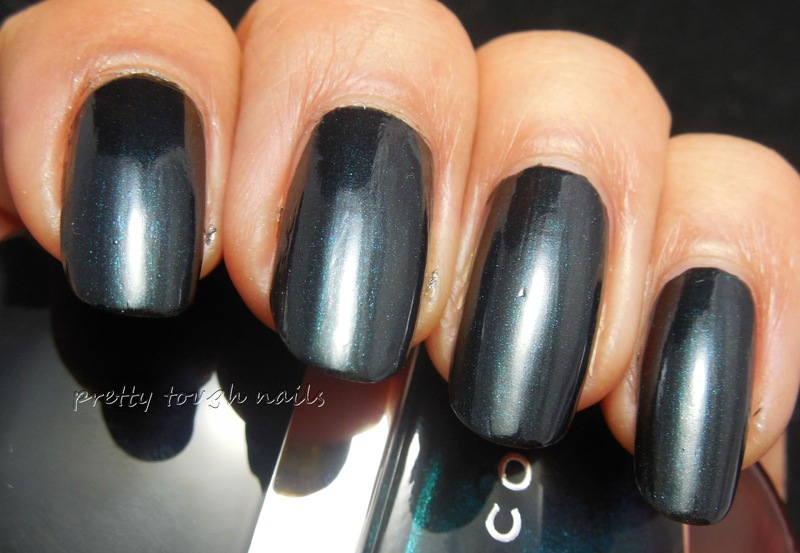 It's been awhile since I've swatched a high end polish, and when I saw this languishing in my drawer I knew it was finally time for it to get its time in the spotlight. 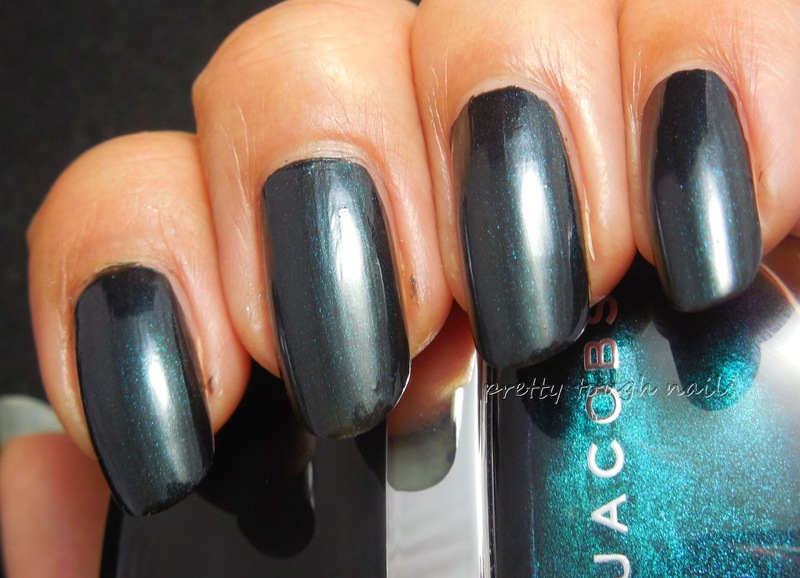 This is Marc Jacobs Sally, a vampy dark emerald green shimmer that reads expensive when worn on the nails. 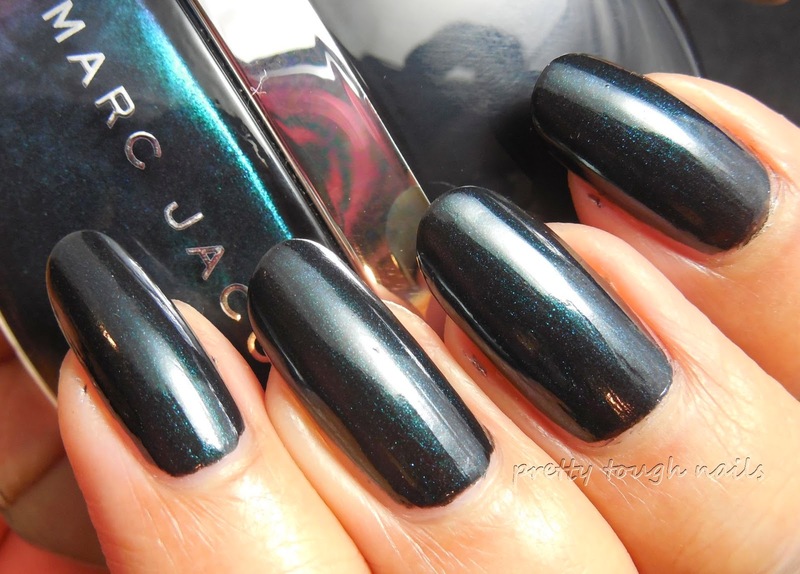 I have limited experience with Marc Jacobs polishes, and I got a quick reminder while swatching this - the wand is short so it makes control a little more difficult than usual since I'm accustomed to standard wand lengths. The brush is short and thin as well, making application clumsy and results in the first coat looking streaky and bald. A second coat is necessary but with a slightly thicker coat, everything evens out smoothly. I used no topcoat in these pics. I got to use another untried with this beauty, and layered FingerPaints Asylum, and multi colored flakie topper that was released a few years ago. I'm ashamed that this has been untried for so long - I guess my only excuse is that I don't wear enough vamps to allow this beauty to show through at its maximum. I used two coats over Sally because one didn't seem dense enough. Sally lost some of her green shimmer in the process. I'm mighty pleased by the colorful shards that seem to illuminate the dark canvas. I regret leaving this as an untried for so long! This is probably not my oldest untried either. 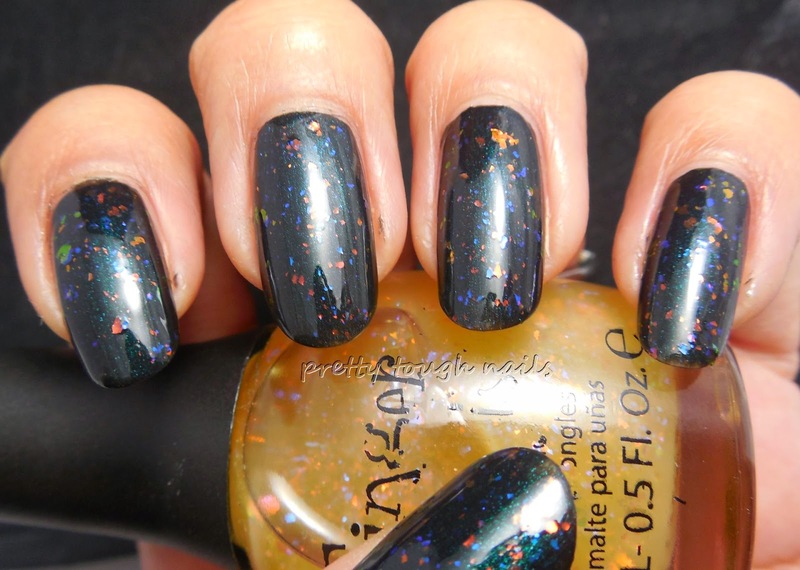 What polish has been left untried in your drawer the longest? Gorgeous combo Thithi! I really need to give some attention to my bottle of Asylum too. You absolutely must!! It's hard to get through polishes quickly, especially when they're so easy to buy! I wish I had more toes and fingers to wear them on!